On Saturday, a number of us took a ride up to Jamestown after the road opened back up on May 1. The weather was near perfect. While my personal experience was somewhat somber, we saw many smiling faces from the residents of James Canyon. Living in Boulder and riding most of our normal routes we quickly forget the destruction the floods brought last fall. Occasionally, I see road damage that hasn’t been fully repaired or I get reminded of it by seeing a badly eroded creek bank. I can only speak for myself but I feel Boulder is “back to normal”. We started out the ride from our usual point in Boulder. We first headed east towards Erie to warm up and put in some base miles in before heading all the way west and uphill. The wind was almost non-existent and we set out at a sustainability quick pace. We got to the Greenbriar and started up the lower canyon without noticing anything different. We came across the first section of road that had been washed out. 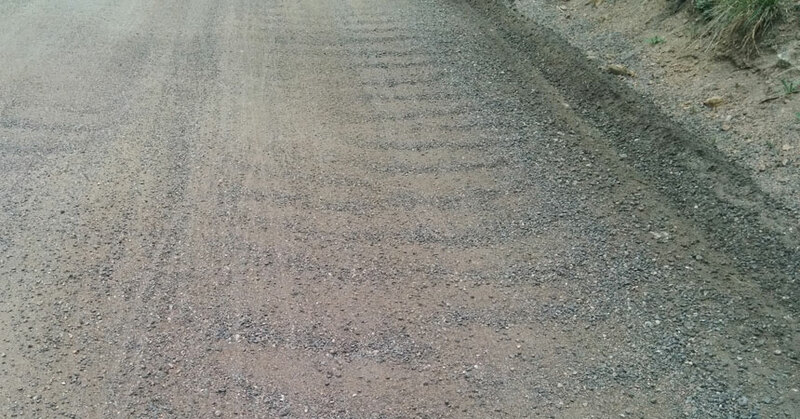 The surface was mostly hard packed with some loose gravel and a little bit of sand. It was no more than 400-500 feet and didn’t even slow us down much. We could see evidence of the floods beyond the road surface. Large sandbars, missing trees, and construction equipment accented the roadside looking like they’ve always been a part of the background. We found a roadside “lemonade” stand. 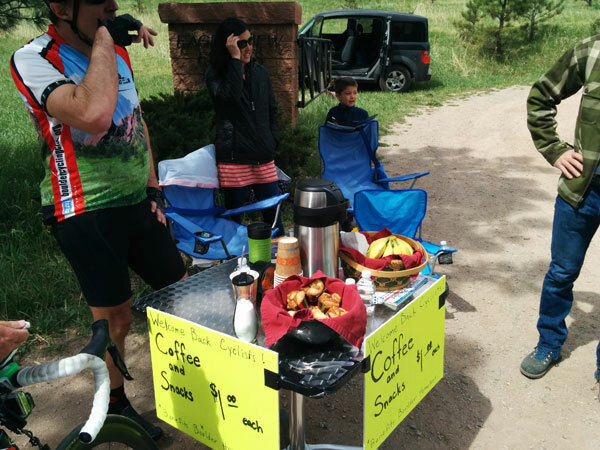 The family was very happy to see cyclists back in the canyon and was selling baked goods and drinks to raise money for the homeless. We stopped, sampled some delicious muffins, and chatted about the floods. We talked about houses that were damaged and people that were displaced. 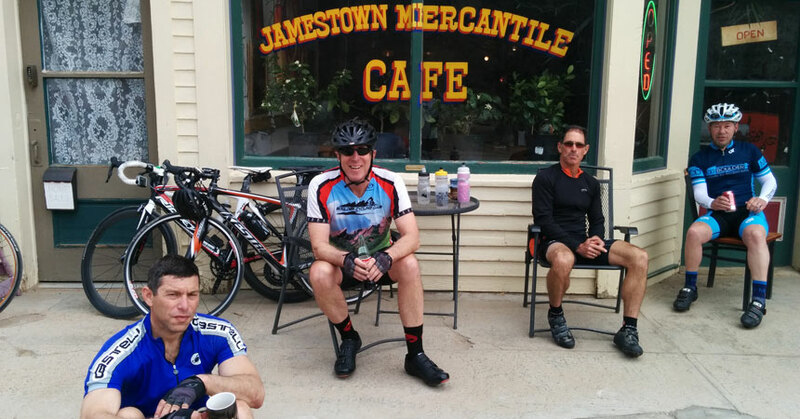 We reminisced about the rich history of cycling in the canyon and our route plan for the day. Feeling good but in no rush we continued on up to Buckingham Park. I have stopped at the driveway to Buckingham Park countless times to regroup, make route decisions, and catch my breath in the shade of the crop of trees along the roadside. We’d often get attacked by mosquitoes resting under those trees, but now those trees are gone. You’d almost never know there was even a park there. Every turn in the canyon reminds you of the floods simply because that is where the water did the most damage to the road and to the landscape. Countless patches of road that are no longer paved and won’t be for quite some time. We passed some work crews, most of whom waved and smiled as we rode past. April was focused on heavy machinery removing critical debris. The snow pack is melting and water levels change. 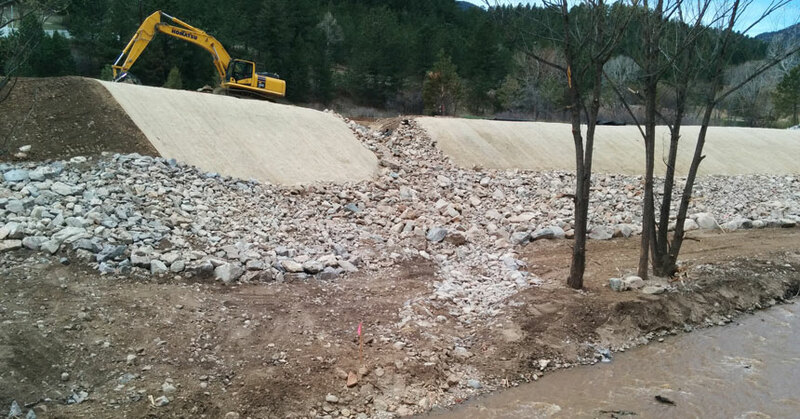 All of the debris deposited by the floods higher up in the canyon posed a serious risk to the road, river bank, bridges, and personal property lower down in the canyon. I don’t know the details of the scope of that effort but it appeared they cleared quite a bit. Riding up to Jamestown, you see piles of downed trees, pieces of bridges and roadway that were washed out. All of these constant reminders didn’t quite prepare me for the level of destruction at the Lefthand and James Canyon intersection. Most of us are familiar with this spot. Enough cyclists regroup at this intersection, the county even gave us our own little corner where we could stop safely far off the road and be easily seen by motorists and cyclists alike. I wouldn’t have recognized the intersection if it weren’t for the road signs. I stopped for a couple photos and continued up the last segment to Jamestown. About 2.5 miles later, it hit me that recovery from the floods is a distant memory for Boulder but far from over for the residents of Jamestown. In fact, there are parts where you may think it has hardly even begun. Out of respect and privacy, I didn’t take any photos in town except for a group shot at the Merc. This community has seen too many gawkers and is slowly healing. We rested at the Merc and bought coffee, drinks, and snacks just like old times. A pair of cyclists we didn’t know ordered brunch and were a bit surprised about how big the pancakes the Merc cooks up. Residents were cheerful as always, but I noticed a lot less of them out and going about their daily business. I got a sense that this is the new normal for Jamestown. The community will never be quite the same but I think as they continue to rebuild they will become stronger. That is going to take more time and more money. We are not even 6 months into a mult-year recovery. It’s important to remember that the road surface is one of the smallest concerns of Jamestown and the surrounding communities. 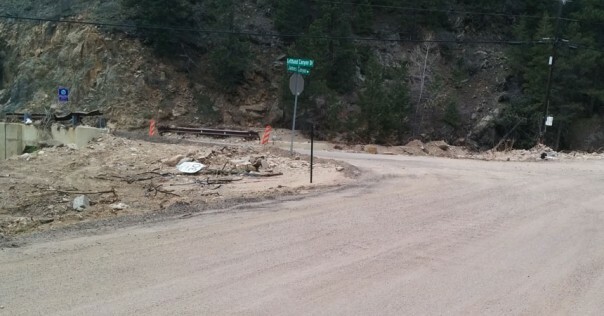 It wasn’t that long ago that the road was completely washed out in several places and the only way in or out was up through Nederland and along the Peak to Peak. Now that the road is safe for vehicles, there are bigger priorities. Rebuilding houses, river banks, and the communities are always going to trump getting a nice smooth paved road. Our route took us back down the canyon and we decided to cut over and return via Lee Hill. This involves a little more climbing of course, but the descent avoids the patches of dirt road in James Canyon. There are a couple sections of it on Lefthand on the way up to Lee Hill but only a few. Our group slowly splintered as people peeled off to go home or add more miles for the day once we got back into town. I left Jamestown feeling a mix of sadness, hopefulness, and a new sense of gratitude that my family and home was spared the destruction of the floods last year. A slower pace. 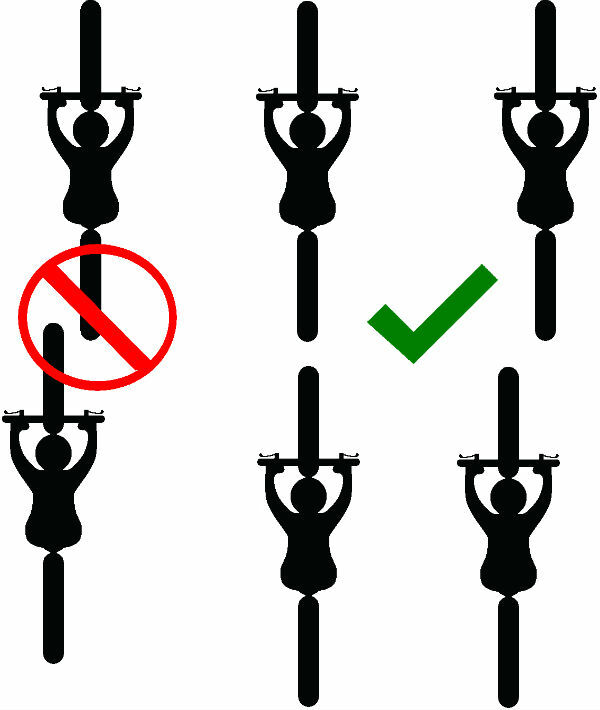 Don’t expect to be setting new K/QOMs or personal bests on Strava. Bring cash. Roadside stands and the Merc need support and business. Cash is always better than plastic for small businesses. Be respectful. The communities in James Canyon are still trying to figure out how to put the pieces back together. Expect a totally different experience climbing the canyon. Some sections look entirely unaffected while others are nearly unrecognizable. 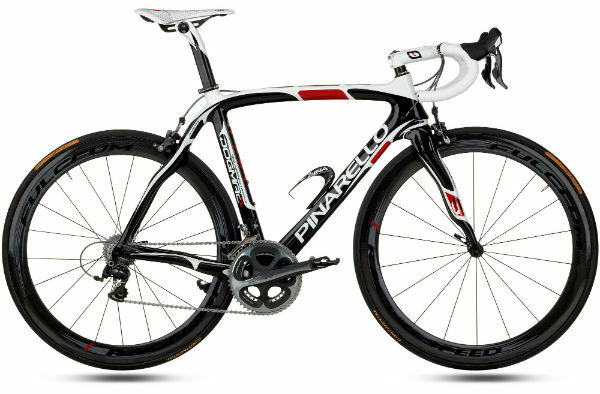 The dirt sections of the road are passable for skinny tires and most transitions from pavement to dirt are fine. If you’re a gravel grinder, you’ll be right at home. Still, watch out for potholes large enough to swallow a small child. Sundays reportedly have less traffic, especially heavy machinery and trucks. 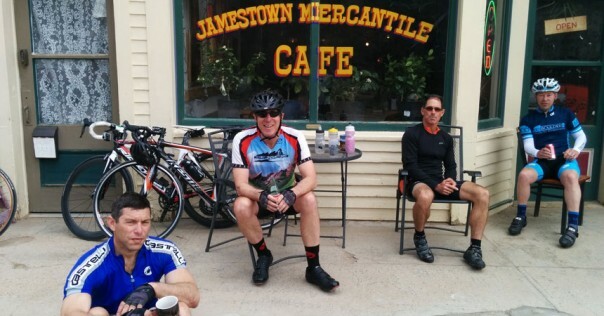 If you haven’t already, donate to the Rebuild Jamestown fund through Cyclists for Jamestown. There is still so much more work to be done. 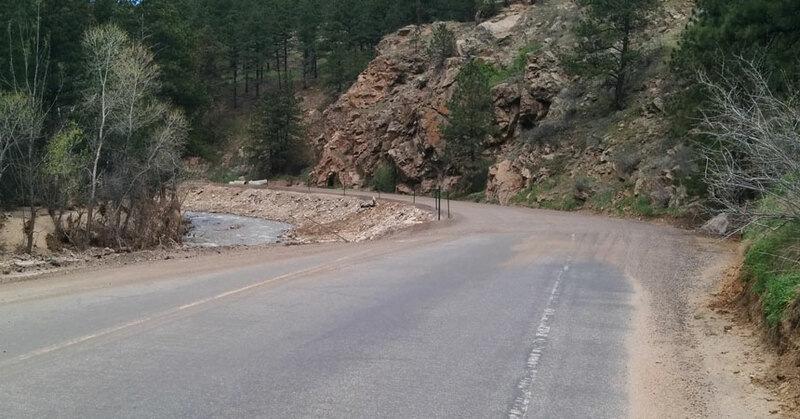 Boulder County has closed much of the road to all non-residents, including cyclists. Please check the official county road closure guide for latest updates. Please respect all closures and restrictions.